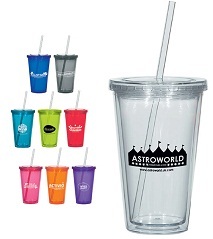 Our Stadium Cups with Logo Branding are a top of the line quality beverage cup for stadium, attraction park and leisure event use. Tough and durable, the Stadium Cups with Logo Branding are reusable and washable for re-use once your customer takes it home. Designed with a screw-top lid to keep your cold drinks and beverage secure in the container, the choice of translucent colours is crazy, and your brand-name will look simply stunning on the side of the cup. Hand out some Stadium Cups with Logo Branding and get your name out and about! For a FREE QUOTE, please fill in the form regarding our Stadium Cups with Logo Branding and we'll be able to help you.